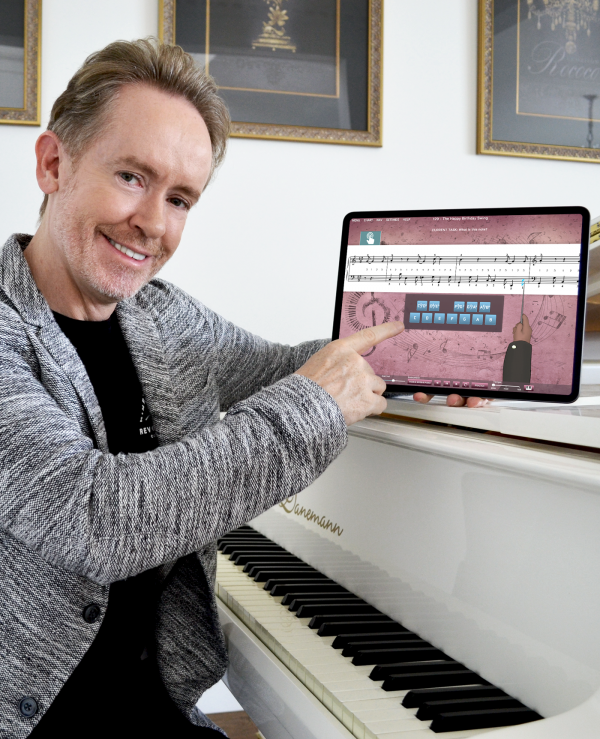 Finally – you can now have Real Piano Lessons™ on your iPad. Today, December 1, 2018, we're excited to announce that the official version of Musiah for iPad is now available. At Musiah, our mission is to provide authentic piano instruction from a world-class teacher that will change people's lives by bringing them the life-long gift of music. More than just piano lessons, Musiah – the world's first A.I. piano teacher – offers a deeply considered holistic approach to learning and self-development that empowers students to realize their true learning potential. "Congrats on going live with the iPad app!" commented adult learner, Josh Malinoff by email today. "I've really been enjoying the program so far. I've tried just about every other online piano teaching app/program and you really have something special. I feel like a kid again with the Story mode. It really has been motivating me in a way other programs haven't. I'm looking forward to levels 3 and beyond." And now, with today's release of Musiah for iPad, more adults and children around the world will have the opportunity to benefit from an amazing program that delivers 5-6 years of traditional piano lessons in a fraction of that time. Firstly, as any iPad user knows... iPads are just fun to use! You can simply rotate your iPad to change from Single Stave to Full page view. And compared to using Musiah on a PC or Mac, the iPad offers improved usability. For example, tasks like tapping rhythms are super easy because you can just tap on the screen (as opposed to having to use a computer keyboard or mouse). Plus, if you like wireless connections, connecting your MIDI keyboard to your iPad using Bluetooth is much simpler and easier than on a computer. Current Musiah customers: To access the iPad app, log in at www.musiah.com, go to the Downloads tab, and click the link. New to Musiah? To access the app, simply sign up here for a 14 Day Free Trial. PLUS... enter this code during signup to add an EXTRA 14 DAYS to your trial! *However, please note that the above Promo Code can only be redeemed during signup on this site. If you have any queries, please feel free to contact us here. a couple questions for you. Thinking about trying musiah. At home I have a midi keyoard with pc computer. We are retired so spend quite a bit of time in our RV. I have another midi keyboard there and recently was given an I Pad. Do I have to buy 2 seperate programs or does one price cover both windows and IOS. Many times while we are in the RV we have no wifi. Do I have to have wifi for musiah to operate or once I download the lessons can I use it offline?